Update: My link is fixed! You should be able to download it as a Word document and edit all you want. You can add or change around the table in Word once you download it. One of the major benefits of OneNote is I can make my table as large as I want. 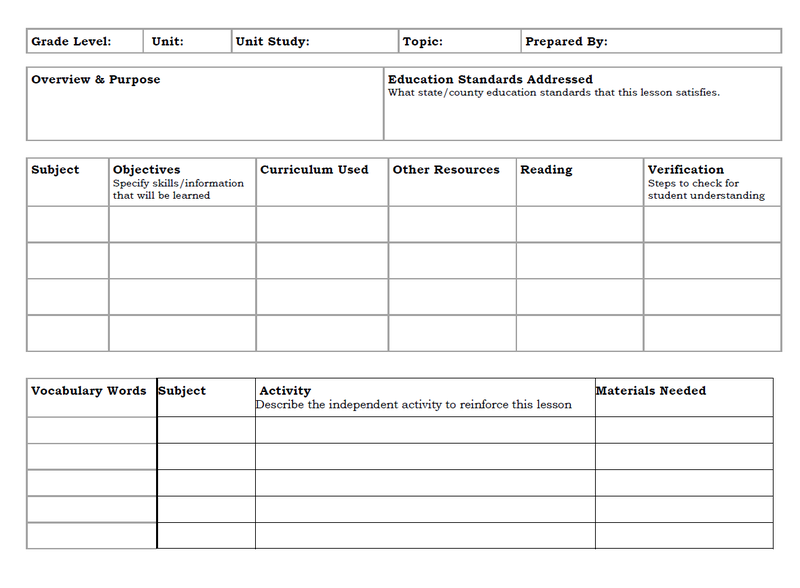 I took the Materials Needed section and created an entirely separate table that was dedicated to projects/activities. I created a column for the subject the project is for, what the project objective is and a list of materials needed. That way when I'm ready to start that unit I have a handy shopping list ready. 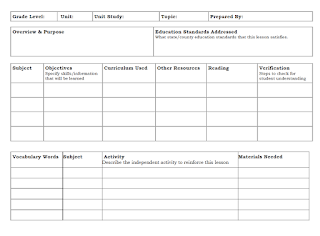 I took some ideas from another form and changed the column titles.Instead of Teacher/Student Guide I made columns for Objectives, Curriculum Used, Other Resources (which for me means web links), Reading Materials and Verification (how to test knowledge when unit is complete). On the same sheet I created a Vocabulary List for the entire unit.